“The most disadvantaged, troubled students in the South and the nation attend schools in the juvenile justice systems,” the 2014 report from the Southern Education Foundation begins. 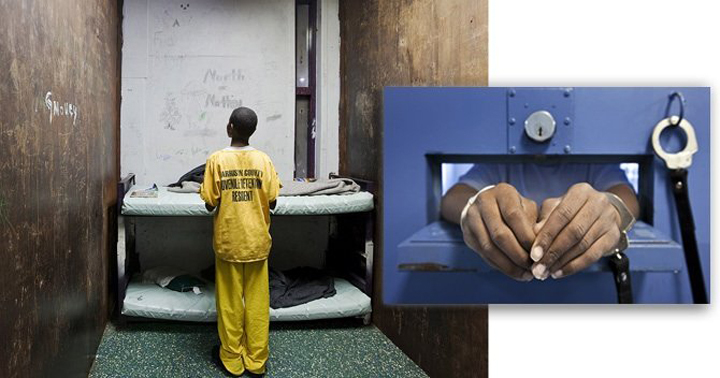 The document, Just Learning: The Imperative to Transform Juvenile Justice Systems into Effective Educational Systems raises a number of questions: If so many children with educational needs are segregated or incarcerated, what will become of them and the society they will enter once they age out of the system? Are their needs being met? What can be improved? Data within the report suggests that the current condition the juvenile justice system is in creates the potential for lifelong disadvantage for many youth who are a part of the system. Dr. Kent McGuire, president of the Southern Education Foundation, is concerned by what he saw in the report. “The first thing I think we need to remember is that we’re talking about kids, not adults,” he said. “Kids need help and support as they grow up, as they develop, and they’re entitled to and deserve opportunities to learn through education so that they can participate fully in the economy and the democracy.” The president noted that all children have such needs, be they in an off-campus alternative school, a boot camp or high school in a suburban community. “So we’re talking about school,” McGuire said. “The good news is that they’re set up to do education. The bad news is, from our look in, is that the education function, we think, gets short shrift.” He said if education was understood to be a primary focus to juvenile justice the dividends would be greater in the future. The report from 2010 suggests that there were 70,000 young people across the U.S. detained within the system on any given day. About one-third of those kids were found in 15 states of the Southern U.S. McGuire reflected upon how those numbers got to be so high. “Most things we come to worry about don’t happen overnight, which means that they’re long, slow, developing trends which take a trained eye to see,” he admitted. To some extent, he praised aspects of the No Child Left Behind legislation for identifying problem areas for many school-aged children. Many kids within the system have learning disabilities, behavioral and emotional problems, and are behind in their education to begin with, the SEF report cites. The report also notes that, of the total number of youth detained in 2010, almost two-thirds “did not involve any wrongdoing directly against another person.” Most kids in the system were there not due to violence, but because of property damage, drug issues, or they “had been unruly, incurred technical violations, or had committed a status offense,” the SEF said.